We currently offer one frame style with matting but will be updating our framing options in the near future. 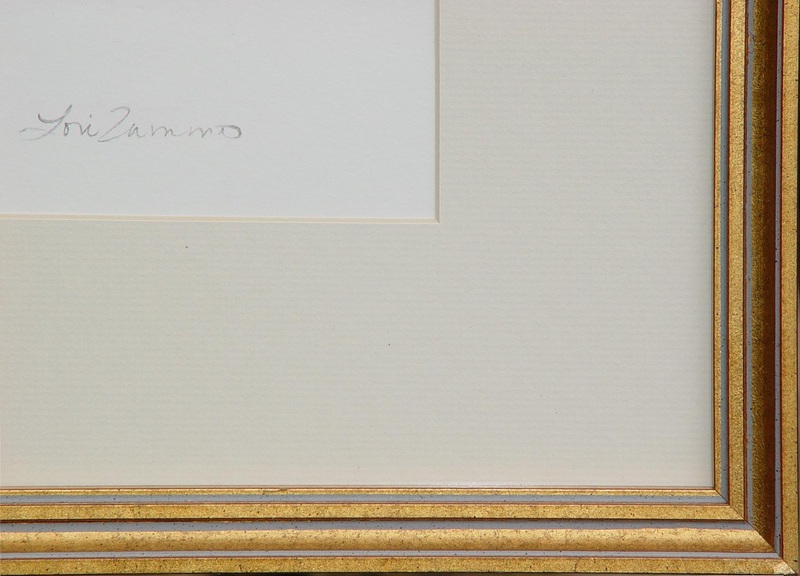 We use Bainbridge Archival Off-White Papermat mounted in a gilt-effect wooden frame. Each framed print is hand signed by Lori Zummo and only acid-free museum quality mats are used.